Appellate courts must review the appellate record to determine whether the trial court has committed an “abuse of discretion.” In legalese, this generally means a decision was “so arbitrary that it could not have been the result of a reasoned decision.” In English, this basically means that the trial court must have obviously acted outside of the decision-making authority granted under the law. 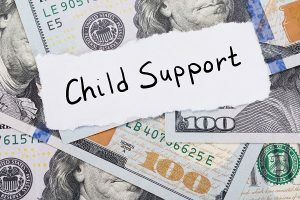 Beyond what is on the face of a trial court’s order, child support findings must be supported by “competent evidence.” The courts of appeals are generally limited to looking at the trial record, which includes transcripts of the trial taken by the court reporter, as well as documents that were admitted into evidence. This is important because an appeal is not a new trial. The court of appeals cannot consider new evidence, and can only look at what was before the trial court at the time it ruled. If this record does not support the trial court’s findings, the appellate court will reverse the court’s order. The New Direction Family Law has represented clients in custody and child support cases for over two decades. If you are worried that you will not receive enough money to support your children, or that you are being obligated to pay an unsustainable amount of child support, contact us. Our team understands how important child support orders are to both your children and to your own livelihood. We serve Wake, Johnston, Lee, Harnett, Cumberland, Nash, Granville, Franklin, and Durham counties. Call New Direction Family Law today at (919) 719-3470 to schedule an initial consultation, or visit us online at our website.